Gone are those days when you would go to the shop right before your favorite show comes up but you DTH validity have expired. 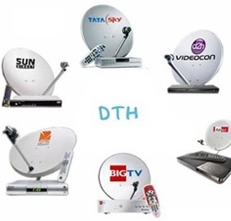 We provide you the facility where you can recharge your DTH connection online and watch your favorite show without spoiling the mood. The transaction can take place through any means the customer would prefer. The transaction takes place in a secured gateway and very minimal transaction charges are levied. This facility covers almost all DTH operators and the site is regularly updated with the new upcoming plans and packs of several operators. With so many perks at hand, this service that we provide is definitely a show stealer.